Our prayers have finally been answered: the Spice Girls are spicing up our lives again and going on tour! 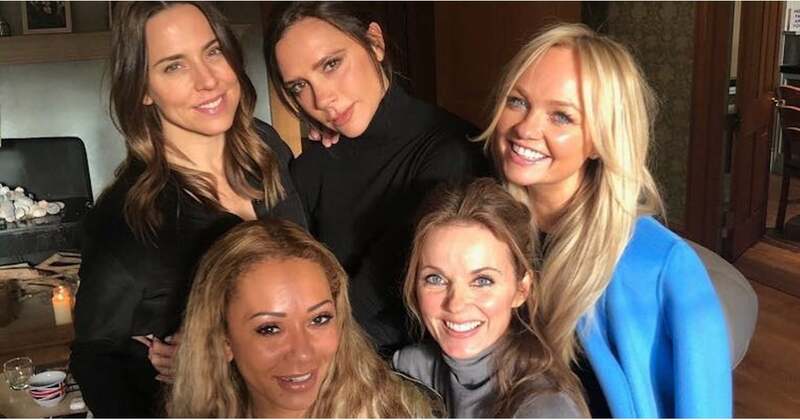 After much speculation, Melanie Brown, Emma Bunton, Geri Horner, and Melanie Chisholm confirmed once and for all on Monday that they’ll be hitting the road for a UK stadium tour in 2019. Sadly, Victoria Beckham won’t be joining them this time around, but that doesn’t mean the ladies aren’t still close. It’s quite the opposite, actually. Following the announcement, the fashion designer shared her excitement over the news on Instagram, wishing them “so much love and fun as they go back on tour.” And that’s just the tip of the iceberg! The women have shared so many sweet moments together since their 2000 split, further proving that friendship never ends.